Isaac Van Zandt, lawyer, legislator, and diplomat was born in Franklin County, Tennessee, on July 10, 1813. In 1833 he married Frances Cooke Lipscomb, and he and his father established a store at Salem, Tennessee. He moved to Coffeeville, Mississippi, and established another store but lost heavily in the depression of 1837. 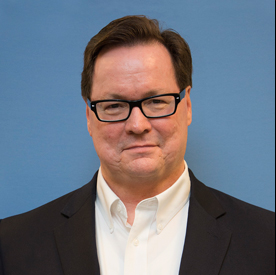 He had become interested in a debating society and discovered his ability for effective public speaking, so he began the study of law and in less than a year was admitted to the Mississippi bar. 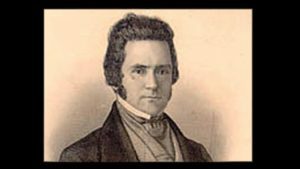 He moved to Texas in 1838 and settled in Elysian Fields, Panola County; then in 1839 he moved to the site of Marshall, where he began to practice law. He persuaded Peter Whetstone to donate land for the townsite and a college. He named the town after Chief Justice Marshall and is considered by many to be the founder of Marshall. He represented Harrison County in the House of the Fifth and Sixth congresses, 1840–42, and in 1842 Sam Houston appointed him chargé d’affairs to the United States. During his tenure in Washington, Van Zandt worked for the annexation of Texas to the Union. Having achieved his goal, in 1845 he returned to Texas and attended the Convention of 1845. He was campaigning for the office of governor in 1847, when he was stricken with yellow fever at Houston and died on October 11. He was buried at Marshall. Van Zandt County was named in his honor in 1848. In 1936 the state of Texas erected a memorial to him at Canton. Just as impressive is the story of his wife, Frances Cooke Lipscomb. 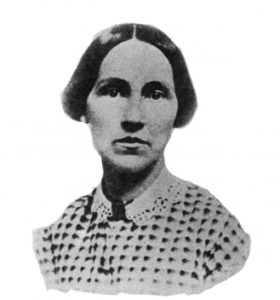 Frances came as a young bride to Texas with her husband. She wrote in her journal later that “Necessity is the mother of invention.” She recalled building a raft with her husband so they could cross a stream and losing some of her chickens in the crossing; she mentions trading her dress making skills with a neighbor in exchange for a hatchet; she made her husband a coat from a blanket and knitted him some socks from the carded thread. Isaac used leather hide and made himself a pair of shoes and used the same set of skills to build a cradle for the first of their five children. After Isaac died, Frances was left with five children and no husband; reading her journal (available on the internet as well as in libraries), one can learn of the toughness and perseverance of this Texas woman. She remarks, “Those of us who had been long in Texas had training in hardships and poverty that stood us in good stead in these later troubles.” She lived to be 93. Townes Van Zandt is known by industry insiders as one of the greatest folk songwriters and the most influential Texas songwriter of his time. One of his best known songs is “Pancho and Lefty” which was covered by Emmylou Harris in 1977 and then by Willie Nelson and Merle Haggard who took it to number one on the country charts in 1983. While he never released an album on a major label, he did develop a cult following. 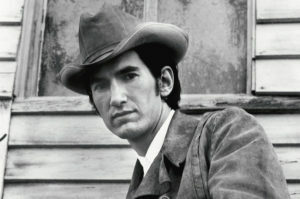 Townes died in 1997 from a heart attack at the age of 52. To learn more about his life, read a tribute to Townes Van Zandt published in Texas Monthly in March 1998.